My first experience with Phiaton was with their noise cancelling in-ears way back in 2012. While they weren’t the greatest audiophile masterpiece I had heard, the earphones were ergonomically designed and well featured, I was pleased with their value and construction considering Phiaton’s asking price. So when Phiaton contacted the site, I was more than happy to review their new Bluetooth enabled headphones, the BT460. From a glance, Phiaton’s newest creation is a compact, nicely designed headphone that is feature rich and well adapted towards use with smart devices. However, with a hearty RRP of $200 USD ($300 AUD), can Phiaton’s offering compete with similarly priced headphones from larger manufacturers? And do their smart features provide a notable benefit to usability and convenience? Let’s find out. I would like to thank Phiaton very much for providing me with the BT460 for the purpose of honest review. There is no monetary incentive for a positive score and despite receiving the headphones free of cost, I will attempt to be as objective in my analysis as possible. The BT460’s have a nice unboxing similar to what you would expect from other premium headphones manufacturers like Sennheiser and Bose. They have a medium sized box with high-contrast renders and a punchy red/white colour scheme. Sliding off the exterior sleeve reveals an inlet containing the carrying case. Inside the case is the BT460 itself, a 3.5mm cable to run the headphones from a wired source and a micro-usb charging cable. I’m a fan of Phiaton’s compact zippered hard case, it’s practical, protective and is a little more visually interesting than that included with most other headphones. The BT460 is a stylish headphones with a minimal design. Phiaton’s choice of darker hues and soft touch textures imbue them with a more mature aesthetic that is a refreshing change from the usual gloss plastics and chromed logos seen in retail stores. While they are certainly not comparable to the likes of the similarly priced Meze 99 Neo and B&W P5 Wireless, the BT460 is nonetheless a handsome and thoughtfully designed product. They also feature folding hinges that enable them to become much more compact for storage/transit. Unfortunately, the same cannot be said for their build quality. Even when compared to consumer headphones such as those from Skull Candy and Beats, the BT460’s predominately plastic construction is just passable. And most concerning is the substantial wobble between the folding hinge and headband slider mechanisms, the headphones simply don’t feel as solid as they should for the price. Phiaton do somewhat redeem themselves with their use of metals in the structure of the headphones, the buttons are also clicky and the hinges all hold their position well despite that wobble. I also haven’t noticed any significant wear on my review unit besides a small user induced scuff, they seem to be quite durable despite not inspiring too much confidence with their in-hand feel. The BT460’s somewhat make up for this with their especially comfortable fit. Despite being relatively large, the BT460 pursues more of an on-ear fit; and though I usually struggle with on-ear headphones, the BT460’s provided pleasing comfort through their low clamp force and soft ear pads. This does mean stability is quite low and the headphones easily shift position when moving though the grippy rubber headband help to keep the headphones seated when walking. So while their build and feel don’t inspire confidence, the BT460’s streamlined, folding design and higher levels of comfort produce a practical listening experience. The BT460 is a Bluetooth enabled headphone with some unique smart features reminiscent of those included with Apple’s Airpods. They are easy to pair and control similarly to most other Bluetooth headphones. They can also be connected to two sources simultaneously and feature ShareMe technology enabling the headphones to wirelessly stream audio to another headphone that also supports it. Other notable mentions include support for apt-x Bluetooth enabling lower latency and higher quality streaming though I still found them to sound appreciably better from a wired source perhaps due to a weak internal amplifier. A cover protects the micro usb charging port on the bottom and a 3.5mm input that functions even when the headphones are powered off. The rear of the right earcup houses the power/multi-function button. Perhaps their most notable feature is a touchpad on the outside of the right earcup that acts as the main interface. It enables users to control music playback via swipe gestures, forward to skip forward, backwards to skip back and up and down to control volume. The panel has 7 LED’s that indicate the level of volume and flash when receiving phone calls. The gesture control was surprisingly reliable in m testing except for the double tap to play/pause gesture that is barely functional. The in-built microphone is also quite good, easily usable for calls and voice recording despite being in an unideal location. The headphones also pause the music when removed from the head and resume play when put back on. I found it to work nicely but there is a second delay and it doesn’t work in all apps. Another smart feature uncommonly found on other headphones is the BT460’s inbuilt vibration motor; the headphones vibrate when powered on and when receiving a call, it’s a small but very tactile gesture that adds a lot to the user experience. I would appreciate a Phiaton smartphone app to control these features, perhaps adding the ability to create custom gestures or vibration patterns for different app notifications, but as is, the headphones are convenient and practical to use. The gestures are surprisingly effective except for the double tap command, and volume adjustment is accurate and works in isolation of the source which works well when paired to a TV for instance. While the BT460 isn’t the perfect “smart” headphone, they do a much better job than the vast majority of wireless headsets. The BT460’s are a more consumer-focused headphone with an emphasis on bass, clarity and soundstage. On first listen, I was immensely relieved by their modest balance and mostly tasteful v-shaped tuning. However, like a lot of consumer headphones, their tuning can very much be enjoyed at face value but longer critical analysis reveals some faults in their sound that more refined offerings don’t produce. Still, the BT460 is a much better sounding headphone than I had expected and compares well to similarly priced models. Of note, since the BT460’s are a wireless headphone, I will be judging their audio performance through an APT-X Bluetooth connection as intended by the manufacturer. That being said, I did find them to improve appreciably when wired with a smoother and more composed sound in general. As such, all comments below will be through a Bluetooth connection to my apt-x enabled HTC 10 with some additional findings through a wired connection to my Oppo HA-2 and Fiio A5. The BT460 is a V-shaped headphone with particular emphasis on sub-bass and middle treble emphasis that grants them with a simultaneously lush and ethereal sound. Mids are a bit scooped and can sound thin in comparison to more natural sounding headsets, but the BT460 provides great clarity and a detail forward presentation in return. Despite their high-frequency emphasis, the BT460’s remain linear enough to avoid fatigue and sibilance is kept in check. While they are certainly not balanced or neutral by any stretch, the BT460 remains a very engaging headphone that is more even weighted than competing models found at retails stores. The BT460’s have a bassy sound that is more tone than texture in nature while maintaining adequate speed to produce some pleasing rhythm. They are sub-bass focused with a modest mid and upper bass boost that imbues them with a warm, rich but not overbearing low-end. Sub-bass extension is impressive for an on-ear headphone though they do lack the tightness of the B&W P5 Wireless and the impact of better sealing over-ear units like the P7 and Meze 99 range. On the contrary, the BT460’s are more defined than consumer headphones such as the Beats EP and lack the muddiness of cheaper headphones with similar tuning. As such, I feel that their low-frequency tuning provides a nice middle ground that will satisfy listeners looking for a more dynamic listen without compromising too much balance. And while the BT460’s didn’t quite have the snap and rhythm of the Meze 99 Neo, bloat was kept in control and bass warmed but never overshadowed the lower midrange. On the flipside, sub-bass is pretty sloppy and bass definition and texturing are a bit hazy in general. 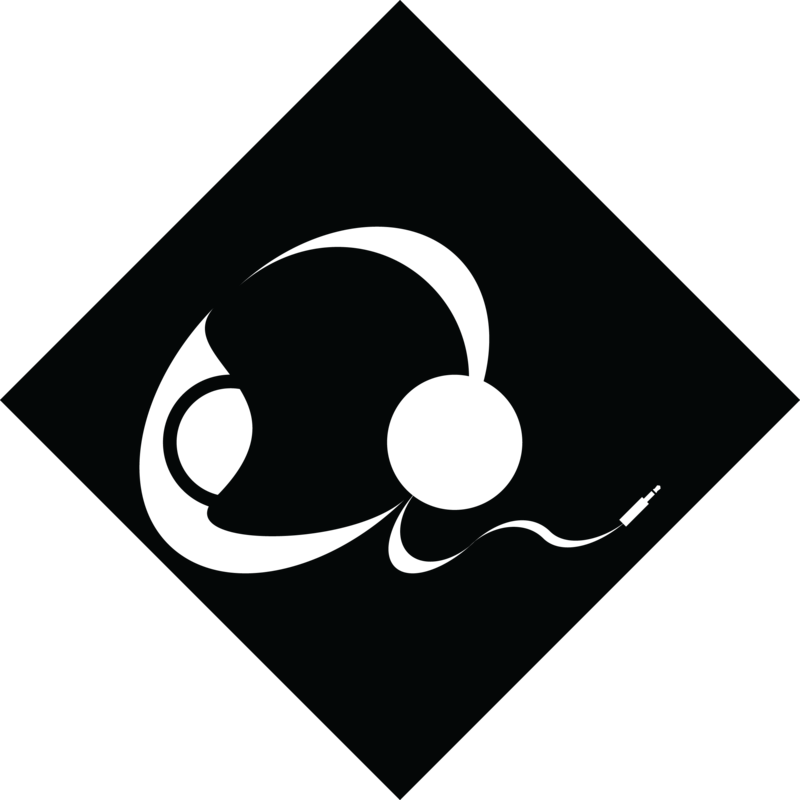 Slower tracks such as Charlie Puth’s “Attention” tended to drone whereas the 99 Neo, a similarly bassy headphone, provided more layering and detail to each lingering bass note. Quality did noticeably improve when switching to a wired connection where sub-bass tightened up and definition became quite commendable, though my qualms with texturing still remained. The BT460 ultimately fails to capture the quality of enthusiast headsets, missing texture and sub-bass control but, in return, they provide listeners with great bass slam without excessive bloat or muddiness. The BT460 has a clear if not hyper-revealing midrange that is well present even within their more V-shaped tuning. This is due to their great midrange clarity that creates a more vocal forward presentation, preventing mids from becoming distant or overly recessed. While they aren’t the most realistic, natural sounding headphone, female vocals sound especially artificial, they never sound hollow or nasal. Midrange separation is also commendable with nice layering and space to each element. Such tuning flatters acoustic music all the while avoiding over-forwardness during electronic and rock. Strings are also relatively smooth with hints of grain here and there though they sit slightly too forward for my tastes. From a wired connection, the BT460’s gain a little more midrange body, making them sound more natural though I still wouldn’t classify them as a natural sounding headphone. General resolution and transparency also remain similar. In terms of detailing, the BT460 is quite typical of a consumer headphone with quite an aggressive, detail forward presentation but their actual raw detail retrieval is just average for the asking price. For instance, when listening to Eric Clapton’s “Old Love”, guitars were very crisp but lacked bite and texture. By contrast, the B&W P5 Wireless, despite being a substantially more laid-back headphone, easily provided the more nuanced and even listening experience, guitars had that extra layer of definition even if they weren’t presented quite so clearly. In addition, the B&W’s were less fatiguing while retaining a more linear tuning to maintain imaging performance, the BT460 had a considerably vaguer presentation. The BT460 is also lacking transparency due to their sculpted response, the Bowers and Wilkins P7, though more expensive, manages similar levels of clarity but is better able to adapt to different genres of music. On the flipside, the BT460 sounds quite consistent, they have no outstanding peaks or dips within their midrange that compromises their sound though they are still missing that last element of quality that makes a good headphone into a great one. The BT460 maintains this clear presentation into their treble response. They have a pretty typical lower and middle treble emphasis that grants them with more forward detailing and a sense of high-end clarity. While treble also isn’t the most realistic, accurate or natural I’ve heard, high-notes are quite clean and crisp. They do miss out on a bit of extension, lacking some air and texture to high-hats, but the BT460 has some nice shimmer and attack when called for. Texturing is above average, their thin presentation sapping detail from cymbals, strings and high-hats though they don’t come across as splashy or harsh. Sibilance is also kept in check, they are a little more susceptible than more balanced headphones but I didn’t find them to grate on the ears during longer listening sessions. The BT460’s have a very spacious presentation that prevents their fuller tones from becoming congested. Listening to Vance Joy’s “Riptide” and the headphones provided nice width to the guitars and tambourines and especially impressive depth to vocals. Similarly, when listening to “Lay it On Me”, the BT460’s provided great separation during the songs’ more complex passages. When combined with their rich, extended low-end, the BT460 makes for a terrific movie headphone. They weren’t quite as wide as the Meze 99 Neo but they did easily outpace other on-ear rivals such as the Bowers and Wilkins P5 Wireless. And though imaging isn’t too accurate on account of their sculpted sound, separation is quite good, especially within the high frequencies. The BT460 is a nice if not outstanding on-ear headphone that is still clearly superior to sets found within retail stores. They don’t compare directly with the more audiophile orientated models out there, but their vivid tuning makes them just as engaging during short listens, especially within a louder environment. Furthermore, they combine low-latency wireless capability with some of the best implemented smart gestures and haptic feedback I’ve come across to create a versatile experience; the headphones work well for films from a laptop or TV, while maintaining plenty of portability and usability for use on the go. My main complaints stem from their mediocre build quality, loose fittings and more unstable fit that do not inspire confidence during portable use for which they were intended. Verdict – 7/10, At Phiaton’s asking price, the BT460 is a well-considered consumer headphone that also scales nicely with a good wired output. Moreover, they retain the potential to go wireless for commute where sound quality is arguably less important. Comfort is very commendable and their smart features make for a great portable experience. The Phiaton BT460 is available from Amazon (International) for $155 USD, please see my affiliate link for the most updated pricing, availability and configurations.